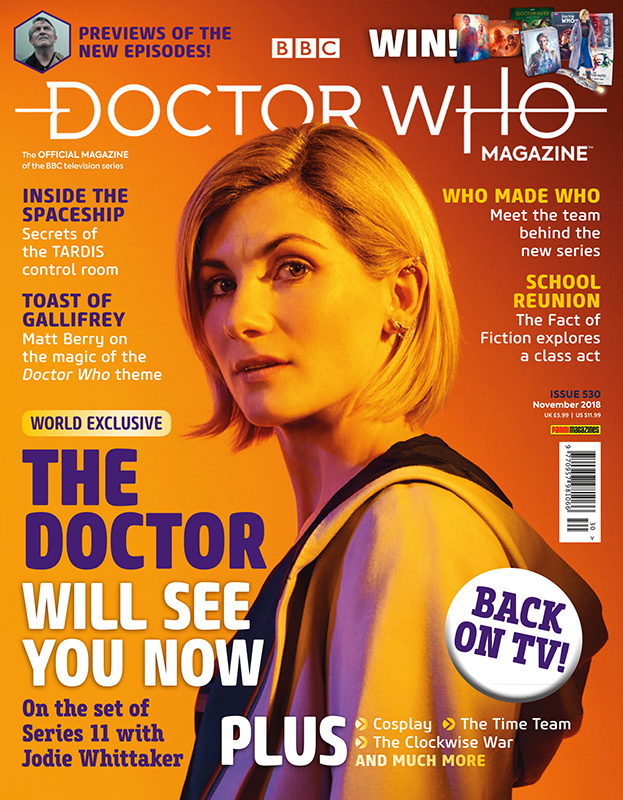 Doctor Who Magazine have sent DWO the cover and details for Issue 530 of DWM. EXCLUSIVE INTERVIEW WITH JODIE WHITTAKER, PLUS PREVIEWS OF HER FIRST TWO EPISODES – ONLY IN DOCTOR WHO MAGAZINE! + Doctor Who Magazine Issue #530 is on sale from Thursday 20th September, priced £5.99 (regular edition) / £9.99 (deluxe edition). 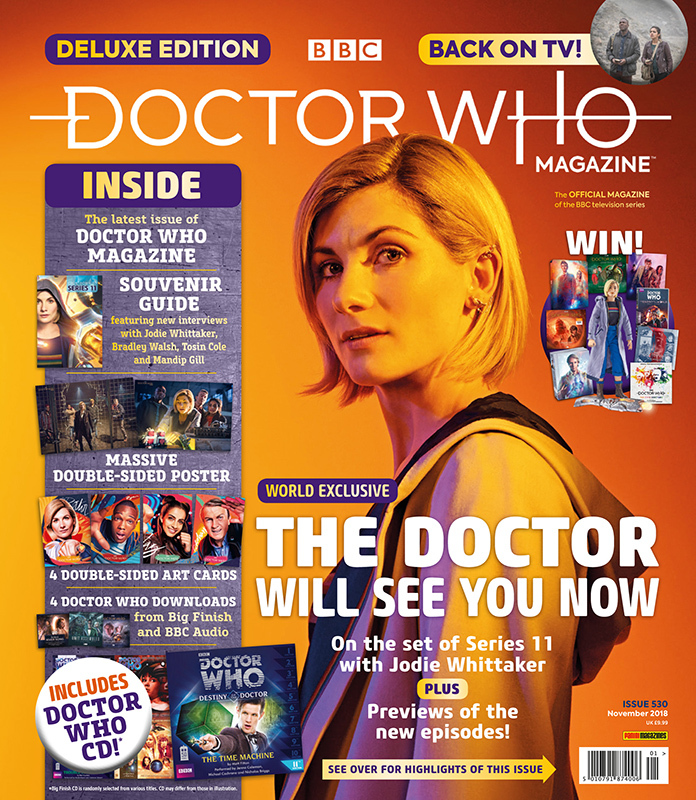 + SUBSCRIBE to Doctor Who Magazine, digitally from just £2.69 a month! Doctor Who Magazine - Issue #496 - Cover & DetailsDoctor Who Magazine have sent DWO the cover and details for Issue 496 of DWM.Doctor Who Magazine - Issue #499 - Cover & DetailsDoctor Who Magazine have sent DWO the cover and details for Issue 499 of DWM.Doctor Who Magazine - Issue #509 - Cover & DetailsCover and details for Issue #509 of Doctor Who Magazine.